Ten Top College Startups Take On Los Angeles For RECESS "Field Trip"
RECESS will bring the top ten finalists from its nationwide RECESS Music + Ideas Festival Pitch Competition to Los Angeles for the RECESS Field Trip on June 8-10. 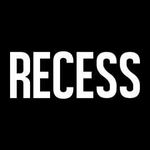 RECESS, a leading creator of experiences, content, and moments for motivated millennials, today announced the top ten finalists from its nationwide RECESS Music + Ideas Festival Pitch Competition, powered by Southwest Airlines. Each team will be flying to Los Angeles to pitch their ideas in front of some of the biggest VCs and investors in the U.S from June 8-10 as part of the RECESS Field Trip. The winner of the RECESS Pitch Competition will also receive the chance to win a $250,000 cash prize, provided by Capital Championship, a collaborator with RECESS on the 2016 Spring Tour. "RECESS always works hard to promote entrepreneurship,” says Justin Kan, Partner at Y Combinator and one of the notable judges for Pitch Finals. “This competition specifically gives students an incentive to get started working on their company as they pitch their way to potentially earning a $250k prize and I look forward to see what they have come up with!" The winner of the RECESS Pitch Finals will receive a full scholarship to Draper University, as well as access to the Amazon Web Services startup team, and a logo design package and up to 500 business cards from Logoworks. They will also receive automatic entry into the Capital Championship finals, and compete against the top three teams from the Capital Championship pitch competition for a chance to win the $250,000 cash prize. To attend Startup Playground, RSVP at: http://smarturl.it/startupplayground. To attend the Pitch Finals and After Party, RSVP at: http://www.smarturl.it/pitchfinals. For more information on RECESS Field Trip, visit http://www.RECESSFIELDTRIP.com . RECESS Digital, Inc. was created to inspire and support next generation visionaries who will shape the future. It creates exclusive experiences for millennials – from nationwide entrepreneurial pitch competitions to concerts by the hottest acts in music. The company’s flagship event, the RECESS Music + Ideas Festival, is the only nationwide college campus tour that unites the brightest young minds with successful entrepreneurs through a bracket-format student startup pitch competition. More than 100,000 student participants on 55 campuses nationwide, including Cornell, New York University and the University of Pennsylvania, have participated in previous RECESS events. Previous RECESS student entrepreneurs have gone on to raise aggregate seed funding of over $12 million from investors, such as Tim Draper, Mark Cuban, Marc Benioff and others. RECESS was named one of Fast Company’s ‘Most Innovative Live Events Companies of 2016’ and has worked with world-leading brands, such as L’Oreal Paris, Microsoft, IBM and LinkedIn. For more info visit http://www.RECESS.is.